Are packed in an insulated wrap and come with the set up to alliviate messy melting. 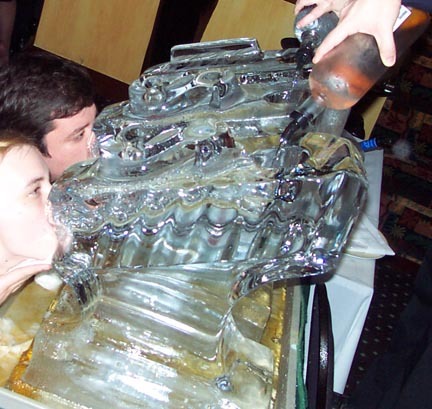 Our luges are unique and the hit of the party! They come with two trails and decorative carved sides. 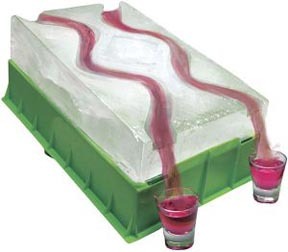 Each luge is 3 1/2' long by 6" thick by 1' wide. They are wrapped in insulated bubble plastic with a driptray and 2 styrofoam supports for propping purposes This makes for a mess free party addition.